This April will be the 40th year marking the Fall of Phnom Penh to the Khmer Rouge in 1975. Now, with most of the tribunal woes over, too many questions are still unanswered about the whole story. As of the witnesses of the last days of the Khmer Republic in early 1975, I was fortunate enough to have remained until the very end of the Lon Nol regime. This was my early years as a photo-reporter, but the pictures I acquired during this time are now history and the scarcity of images from the period make them even more precious to the new generations of Cambodians in particular. This new version of the book is redesigned and updated from a previous edition (2008). An exhibition of pictures from the book will take place at the Meta House in Phnom Penh and there will be a evening launch on 21st April 2015. An exhibition will also take place at Soy Sauce Factory in Bangkok (opening April 24th) Books will be on sale at the price of US$39,50 (THB1,250). 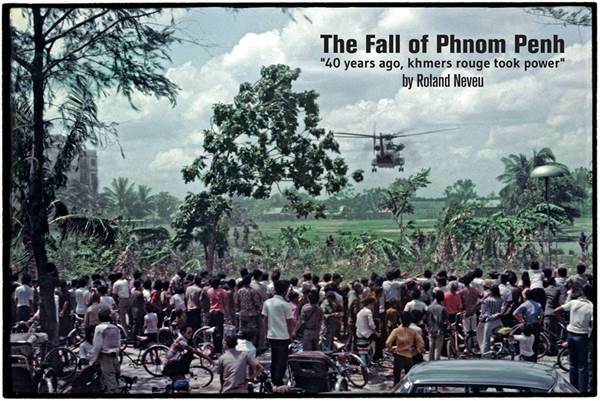 Roland Neveu, born in 1950 in Brittany (France), was one of the few photo-reporter to cover the fall of Phnom Penh in 1975. For over two decades he covered hot spots such as the first Soviet POW in Afghanistan to Beirut's siege of 1982 for Time, the war in Lebanon for almost 3 years, El Salvador's bloody feud, the NPA struggle in the Philippines and the fall of Marcos. He brought the first (video) images of AIDS in Uganda in 1986, shot short documentaries on the Touareg rebellion (Mali) in 1989 and the Kurds refugees (Turk-Iraq border in 1991). From the late 80s he get in the film industry as stills photographer with directors including Oliver Stone, Brian de Palma and Ridley Scott, and work on movie sets at many location in the world. He then move to Bangkok in the 90s and get involved in a small publishing company dedicate to books on Laos, Cambodia and Thailand. Amongst his books “Cambodia, Years of Turmoil’ relate over 35 years of coverage of Cambodia and “The Fall of Phnom Penh” relate the Khmer Rouge take over of the capital of Cambodia. Since living in Asia, he has regularly photographed the region for various interests and his skills includes travel, illustration, corporate, movies and people beside still being attracted by defining news events of the region. 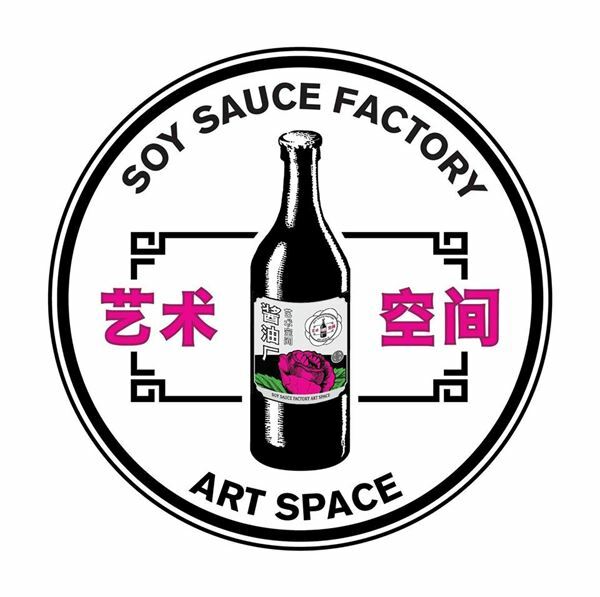 Opening Party April 24th, 19:00 at Soy Sauce Factory !